Choose from any of these fun San Diego attractions including San Diego museums, aquariums and more! 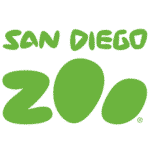 The San Diego Safari Park immerses you in an active, hands-on safari experience where herds of animals roam natural habitats in a vast reserve. Choose from a variety of exciting safari expeditions by caravan truck, cart, zip line – there’s even an overnight option. Everywhere you look, there are amazing views of lions lounging in the grasslands, antelope and giraffes mingling, rhinos wallowing in waterholes, storks and cranes on the march, and more. Engage in close encounters with animal ambassadors, explore walking trails that lead to beautiful vistas and endangered species like the Sumatran tiger, and discover the adventure of conservation in action at this leading-edge wildlife park. Unforgettable experiences begin immediately at SeaWorld’s new, interactive arrival experience, Explorer’s Reef. Guests enter under an iconic wave sculpture and are immediately immersed into an undersea adventure. Where they can touch a shark, interact with a ray and feel tiny cleaner fish gently nibble at their hands. 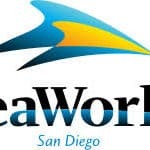 SeaWorld’s family of killer whales are ambassadors of the sea and can be seen in a whole different light at All Day Orca Play, an unprecedented all-day, every day experience starting March 18 at SeaWorld San Diego. All Day Orca Play will deliver exclusive encounters with killer whales through a full day of events and activities. LEGOLAND® California Resort has more than 60 rides, shows and attractions. Including the new LEGO® Star Wars™: The Force Awakens Miniland Model Display opening March. With a 16-foot long Finalizer model made completely out of LEGO bricks plus six more scenes! Conquer dragons, battle pirates and discover ancient treasures at the Resort. Also is home to LEGOLAND Water Park, SEA LIFE® Aquarium; and NEW for Summer enjoy Surfers’ Cove – a water park expansion featuring racer-water slides. 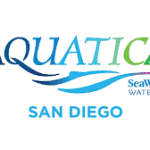 Aquatica San Diego features guest experiences from serene to extreme. With water play as endless as the sea itself. And also is the home to a variety of exotic animals. Providing an educational component to a waterpark visit that is both unexpected and enriching. It is a lushly landscaped waterpark. With up-close animal experiences, high speed thrills and the amenities of a beachside resort. For those who like life in the fast lane, Taumata Racer is a high-speed racing water slide that zooms riders down a 375-foot slide, around a 180-degree swooping turn, and in and out of tunnels before racing them across a finish line. Among dozens of other slides and rides at this whimsical, South Seas-themed waterpark is Big Surf Shores, one of the largest wave pools in Southern California, with more 500,000 gallons of water to take a swim in and a huge sandy beach for basking in the sun. Balboa Park is a San Diego must-see, just minutes from downtown, and ranked as one of the Best Parks in the World. The Park is home to 15 major museums, several performing arts venues, lovely gardens and many other cultural and recreational attractions, including the San Diego Zoo. With a variety of cultural institutions laid out among its 1,200 beautiful and lushly planted acres, Balboa Park is the nation’s largest urban cultural park. A once-in-a-lifetime opportunity to explore a historic aircraft carrier. Activities for all ages including self-guided audio tours, theater, flight simulators, climb-in aircraft, ejection seats and cockpits, guided tours of the bridge and more. Audio tours available in English, Spanish, Mandarin, Japanese, French and German. Spectacular flight deck views of the downtown skyline, San Diego Bay Bridge, and active U.S. Navy ships! Midway is an opportunity to experience the uniqueness of San Diego, original home of TOP GUN. Conveniently located in downtown San Diego along the Embarcadero. Parking available alongside on Navy Pier. Closed only on Thanksgiving and Christmas Day. The Living Coast Discovery Center is a nonprofit zoo and aquarium uniquely set on San Diego Bay. Visitors enjoy up-close animal encounters. Like the endangered green sea turtles, shorebirds, hawks, owls, sharks, stingrays, jellies and more. Uniquely located on the Sweetwater Marsh National Wildlife Refuge. The Living Coast is home to more than 350 animal and plant species native to the San Diego Bay habitat. Find out more at www.thelivingcoast.org or www.facebook.com/thelivingcoast. TheLiving Coast offers year-round wildlife day camps for kids and teens, overnight adventures,interactive animal encounters/keeper talks, special wildlife events, critters and crafts programs, composting workshops, clean ups, walking trails through the wildlife refuge, lectures, field trips, birthday parties, and teacher trainings. 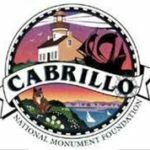 A visit to San Diego’s “only” National Park offers tremendous views of the San Diego region and excellent opportunities to explore the natural, historical and cultural history of the area. The Visitors Center is a good place to start your exploration of the park.